I graduated with a Master of Arts degree from the Illinois School of Professional Psychology, and a Bachelor of Arts degree from Dominican University in River Forest, IL. My experience includes individual and group therapy for people of all ages, coming from diverse social, economic, and cultural backgrounds, and living with a broad range of mental illnesses or emotional pain due to life stressors. One of my favorite quotes is, “If you think you cannot change anything, change your thoughts.” I believe it takes great strength and courage to open up about the things closest to your heart. I wish to create a safe, non-judgmental space for us to form a trusting relationship and genuine connectivity. I will do my best to provide gentle guidance while allowing you to lead the conversation at your own pace, but my approach is flexible based on individual needs. 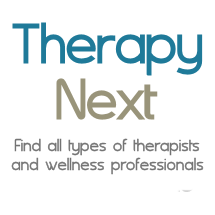 My therapy styles include evidence-based practices such as cognitive-behavioral therapy (CBT), person-centered, emotion-focused therapy (EFT) and mindfulness. Outside of work, I break up fights between my two tuxedo cats, Aristotle and Armenia. I am a volunteer crisis counselor with Crisis Text Line. I relax by listening to the upbeat sounds of violinist Damien Escobar, spending time with my siblings, enjoying my mom’s traditional Polish cooking, and meeting new people.